NEW FOR 2018! 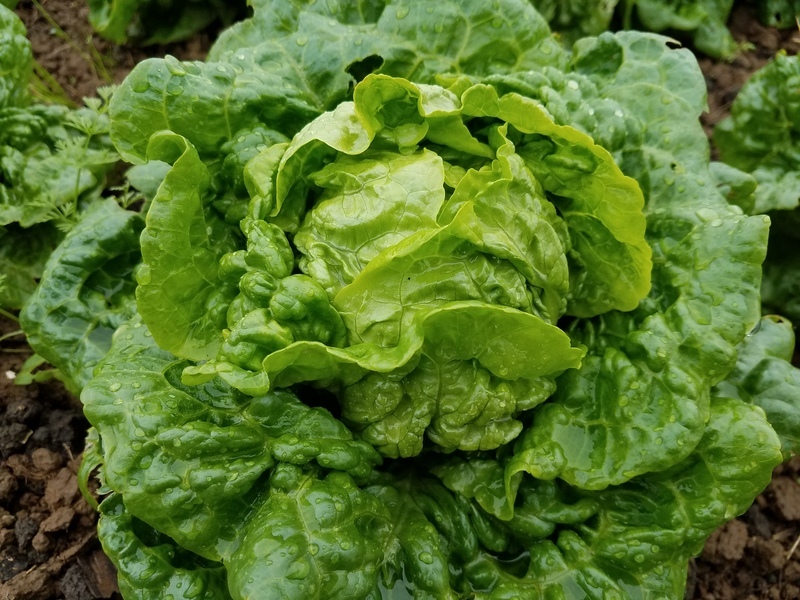 One of my favorite lettuce personalities of the year, Irene jumped out of a trial bed like she was ready to go, heading up faster and more uniformly than similar gem contenders. Dark green 6" rosettes quickly form tight fists of crisp white hearts, each a salad for two. From the Island Gems series (Manoa x Leopard). Farm Original Variety! OSSI (Open Source Seed Initiative) Pledged Variety.